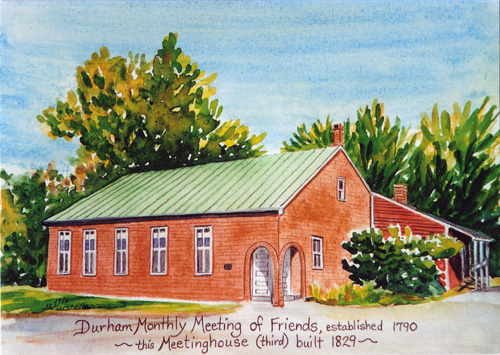 Checks made out to the Durham Friends Meeting may be sent via regular U.S. mail to: Treasurer, Durham Friends Meeting, 532 Quaker Meeting House Road, Durham, Maine 04222. Monthly contributions: To contribute regularly from your online checking account, simply go online or go to your bank and set up a monthly bill pay to Durham Friends Meeting, 532 Quaker Meeting House Road, Durham, Maine 04222. Automatic direct payment: If you are interested in setting up an automatic payment directly from your account to the meeting, please contact Sarah Sprogell of the Finance Committee via email: sarahsprogell@gmail.com.